Around 2pm on Saturday May 7, 2016, I woke up from the bed rest advised by my doctor to see a Facebook post in which I was tagged. The post was by Suraj Tunji Oyewale and it was about the mother of late football legend Rasheed Yekini, Alhaja Sidikat Yekini. Rasheed was a native of Irra in Oyun Local Government Area of Kwara State. Ordinary, I wouldn’t have taken the tagged post seriously because of my health but the calibre of tagger, the message contained and the good intention of the post made a huge difference. He titled it “PROJECT MAMA YEKINI”. It was less than twenty-hours to the time I was discharged from Nigerian Navy Medical Centre, Offa and the doctor had told me to keep off anything stressful. The post in question was a reaction to a news reportage carried by Sahara Reporters to mark the fourth year of the demise of the football legend Rasheed Yekini. Mr. Suraj wanted her online friends and acquaintances to rally round in philanthropy gesture to assist the old woman. The headline and picture carried by Sahara Reporters showed that Alhaja Sidikat was struggling. In the said post, Mr. Suraj commissioned me and one other person, Dr. Shefiu Adebayo, to visit the woman to confirm the veracity of Sahara Reporters’ news. Until that Saturday I have never met Dr. Shefiu — though we both live in and around Offa. Suraj requested for my phone number and sent it to Dr. Shefiu who promptly called me and I gave him the direction to my house as I live closer to Irra (Rasheed’s hometown) where we wrongly thought Alhaja Sidikat lives. 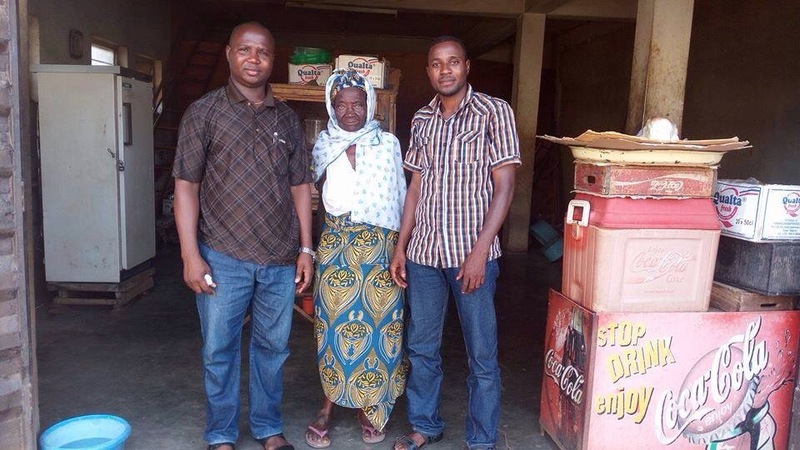 Sahara Reporters equally wrongly stated that the old woman lives at Irra. I jumped off the bed and called another young man to come to my house so he could drive me to Irra because of my feeble limbs occasioned by my indisposition. In between this time, Dr. Shefiu called that he was closer to my house. He came. But we eventually drove off in his car. Just as we took off we concluded to apprise the police of our intention. I promptly put a call to the Divisional Police Officer (DPO) of Oyun Local Government Police Headquarters at Ilemona. (The nature of my job affords me the opportunity to know and work with the Police, DSS, SIB and NSCDC). The DPO didn’t pick the call. Ditto the SIB I called (I eventually spoke with the SIB later). We proceeded to the Police Station but the DPO was not available. But his men advised us to first go to Onira of Irra palace to make our intention known. Onira of Irra too was away when we got to Irra but the Oba’s aids were of immense assistance. They took us to the house of Chief Mudasiru (the Eesa of Irra) who is incidentally a relative to the father of late Rasheed Yekini. We told Eesa our intention and he was happy. He however told us that Alhaja Sidikat that we sought was actually living at Rasheed Yekini’s house at Ijagbo. He gave us his phone number and instructed that we should call him when we get to Ijagbo so he could speak with Alhja Sidikat. Ijagbo is in opposite direction and that meant we would pass through my house at Offa. We stopped at my house to pick my car — I didn’t want to overburden Dr. Shefiu will have to take me back since his would be returning to his place of work via same Ijagbo. We got to Ijagbo, located the house, greeted people at the small shop attached to the front of the fence and went in. We barely entered when two men came and confronted us. They were angry that another set of journalists and opportunists had come to feast on mama’s story. We later discovered that many journalists and fraudulent people had visited the old woman with promises to do something. But nothing was forthcoming. We were even told of people who took photographs with Mama and used same to collect money on her behalf but kept the money for themselves. To calm nerves we introduced ourselves and the job we do. They were surprised. My place of work is too close and public to lie about. 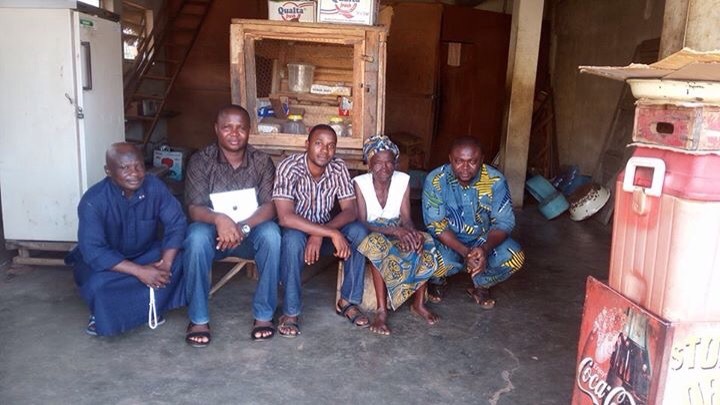 We narrated the news Sahara Reporters carried, how a kind-hearted Lagos-based Suraj Tunji Oyewale is trying to raised money to assist the old woman, of our visit to the Ilemona Police Station, Onira’s Palace and Chief Eesa’s house. We equally told them that we were only on fact finding mission and that we need pictorial evidence to show the people who are willing to assist mama. They were happy and opened to us. One of these men told us that his name is Alhaji Tunde and a tenant in the house. He gave us his phone number. We didn’t ask for the name of the second man. We are not journalists and we didn’t want to be too inquisitive. Mama told us she needed help and lamented neglect the by government despite all her son did for Nigeria. We asked — in the presence of the two men who initially confronted us — what help she needed. She said anything is welcomed. We eventually concluded in her presence to stock her shop with soft drinks, biscuits and other comestibles in the house (the shop is probably a disused garage — it is located under the storey building and very big). We equally concluded to give her cash and that it must be in the bank. The issue of cash created another logistic problem. The woman is too old for rigours of bank. Besides, there are no banks in Ijagbo, while those in Offa are nothing but hell. (Banking system in Offa and environ has been dysfunctional since 2013 because of armed robbery. They open at 9am and close at 12pm. Infinitely long queues at banking halls and ATM would discourage the most agile human being). We were also told of how one person defrauded Mama of over one hundred thousand Naira through bank, of how the money left behind by late Rasheed Yekini was shared, of what becomes of her share of the money, etc. We were intimated of some family issues confronting Mama, of a Akeem Yekni (her son living in the same house with her), of her daughter who was taken care of her but also passed away later (and that she’s even supporting the children the late daughter left behind), of how a sitting senator who visited Alhaji Tunji (a tenant I mentioned earlier) gave mama one hundred thousand Naira and what happened to the money thereafter. I cannot state everything Mama and these two men told us. It is not our duty and we didn’t go there to write stories. This little is just to disabuse minds of some individuals who has been rubbishing our good intentions. I read of a story which stated that mama must be making over N500,000 annually from house rent in the house built by late Rasheed. That’s is a possibility but a doubtful one in that locality. I’ve been living in Offa for over ten years and I know that amount (particularly in Ijagbo) cannot just be possible. Besides, there are other interested parties to late Rasheed estate. Mama is just one of the many interested parties. We took pictures with Mama before we left. These pictures have semblance to Sahara Reporters’. The main difference in the pictures is in the bread Mama is selling. Sahara Reporters’ showed some loaves of bread: there were just two loaves when we visited on Saturday evening. PS: A deadline of May 15, 2016 was hitherto scheduled for the delivery of our promise. Close to one hundred thousand Naira has been raised as at the time of writing this. And if the Coordinator and donators agree we may have to involve the police, local people and the press just to let people know we are no fraudsters. This is simply philanthropic. The rumours of sinister intentions being circulated on social media is unfounded.